Terminology management is about identifying and setting out terms specific to your sector or company. Many companies already work with glossaries or word lists that set the rules for a common vocabulary to ensure that terms are used consistently. Terminological guidelines are also very important for every translator’s work. To ensure that specialised terminology is systematically collected, described, checked and consistently used in every department (i.e. design, documentation, marketing), terminologists and companies work together to create a terminology corpus. 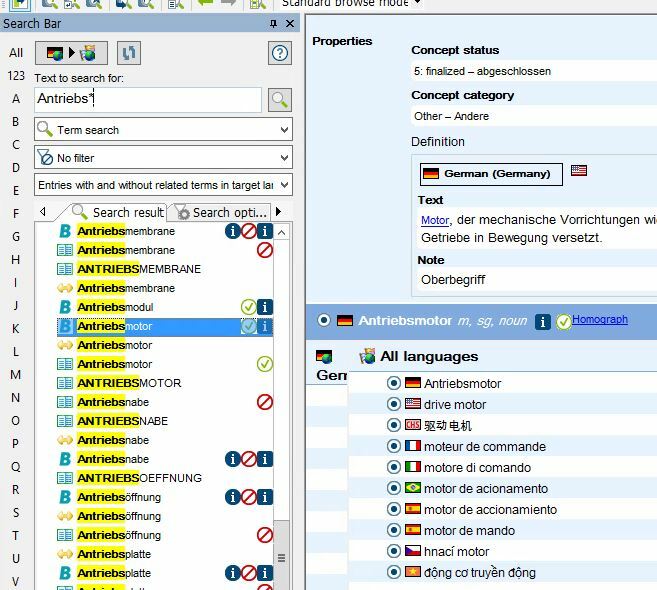 The terms are kept and managed in databases that can be integrated into CAD software, authoring and knowledge management systems – and translation tools. 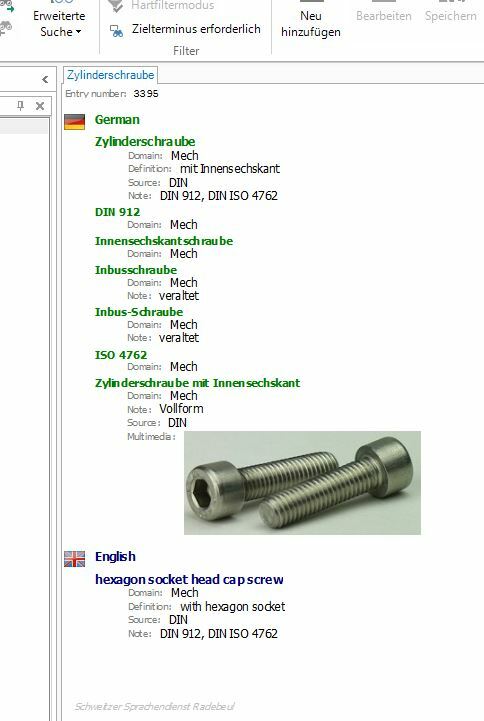 The customers’ advantage: save time and costs and guarantee quality during the translation process. Want to implement Terminology management for your business? Please get in touch with us – we will support you with your project! Got questions about terminology management?